Scandinavian Cheap Deep Records (Marko from Sweden and Pekka from Finnland) was started in the early 90’s We took a break from 2001-2012 and started up again. We have no shop at the moment. 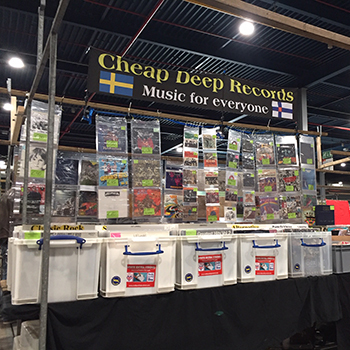 We do record fairs all over Europe and on top we arrange record fairs in the south of Sweden (around 12 fairs every year). Cheap Deep Records offers all kind of music, from 1950s to 2000, punk, metal and jazz etc. 7″ as well as 12″. We try to have great prices and good condition on the records and we always have special offers on fairs.